The DURABILITY QosPolicy controls whether or not, and how, published samples are stored by the DataWriter application. Connext provides the capability to make the DataWriter history durable, by persisting its content in a relational database. This makes it possible for the history to be restored when the DataWriter restarts. The association between the history stored in the database and a DataWriter is done using the virtual GUID. This way, those DataReaders found after the samples were initially written will receive all the stored samples as if the original DataWriter were sending them. 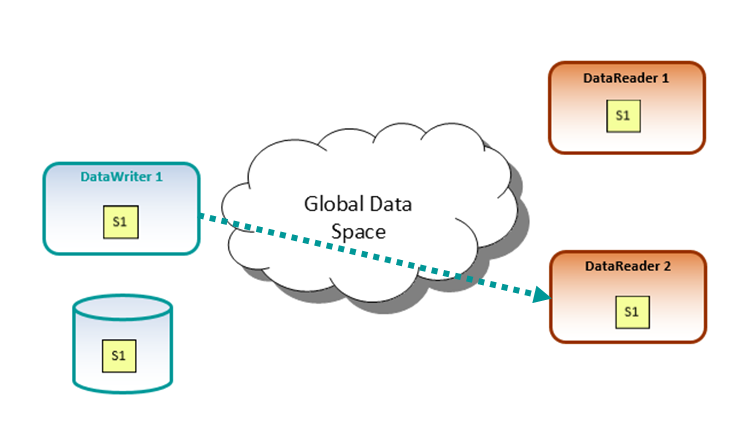 Durable reader state allows a DataReader to locally store its state in disk and remember the data that has already been processed by the application. When an application restarts, each DataReader configured to have durable reader state automatically reads its state from disk. Data that has already been processed by the application before the restart will not be provided to the application again. Connext requires a relational database to persist the state of a DataReader. This database is accessed using ODBC. Persistence Service is a Connext application that saves data samples to transient or permanent storage, so they can be delivered to subscribing applications that join the system at a later time -even if the publishing application has already terminated. Persistence Service runs as a separate application; you can run it on the same node as the publishing application, the subscribing application, or some other node in the network. When configured to run in PERSISTENT mode, Persistence Service can use the filesystem or a relational database that provides an ODBC driver. 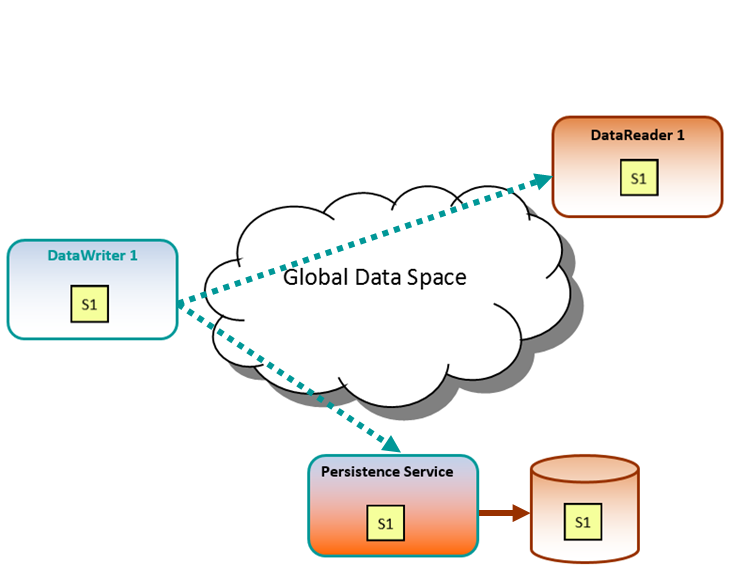 For each persistent topic, it collects all the data written by the corresponding persistent DataWriters and stores them into persistent storage.See the Persistence Service Release Notes for the list of platforms and relational databases that have been tested. 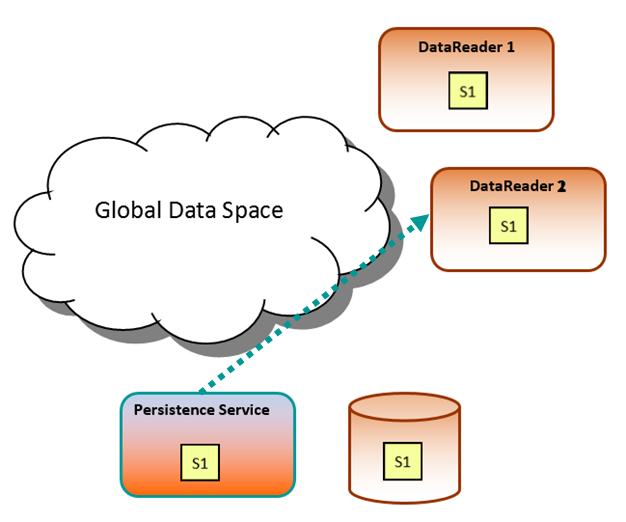 When configured to run in TRANSIENT mode, Persistence Service stores the data in memory. This example shows the three different scenarios explained above. Then, we delete that DataWriter, keeping data stored thanks to the Data Writer History functionality. After that a new DataReader joins. At this point, we restart the original DataWriter (assigning the same GUID), which recovers its history from the database. This causes that the DataWriter sends the old and new samples to the new DataReader, but only the new ones to the old DataReader. 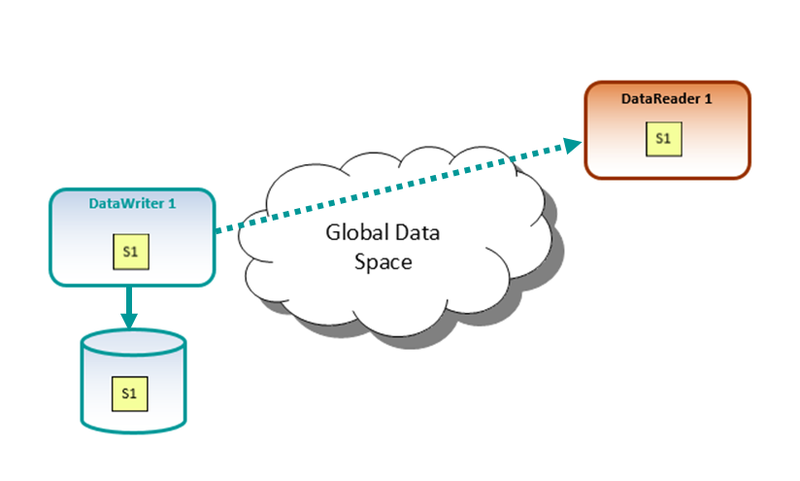 In this scenario, a DataWriter sends samples to a DataReader which stores them in a relational database. Then, we restart this DataReader (assigning the same GUID) and create a second DataReader. The DataWriter discovers the two DataReaders, but only sends the samples to the new DataReader. Avoiding sending it to the first DataReader which already had them in its relational database. When Persistence Service is running, it stores all the samples sent. Then when a new DataReader joins, Persistence Service re-sends them to the DataReaders,even if the DataWriter is no longer alive.